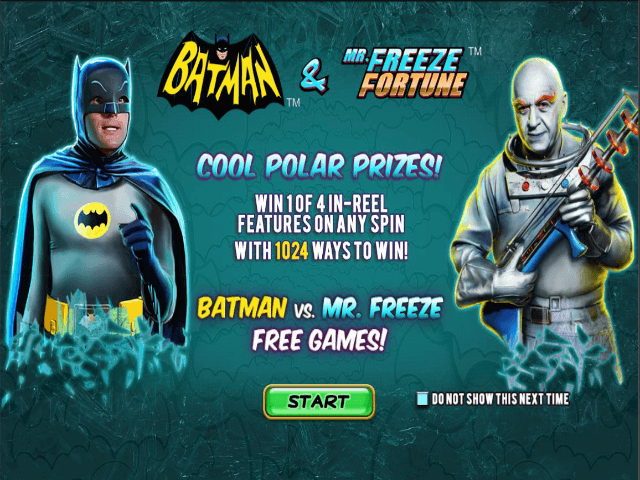 For an online slots experience that's as hot as it is ice-cold, take a spin with Batman and Mr Freeze Fortune. Part of Playtech's ever-popular stable of slots, this progressive jackpot game is one where paylines have made for thousands of ways to win. 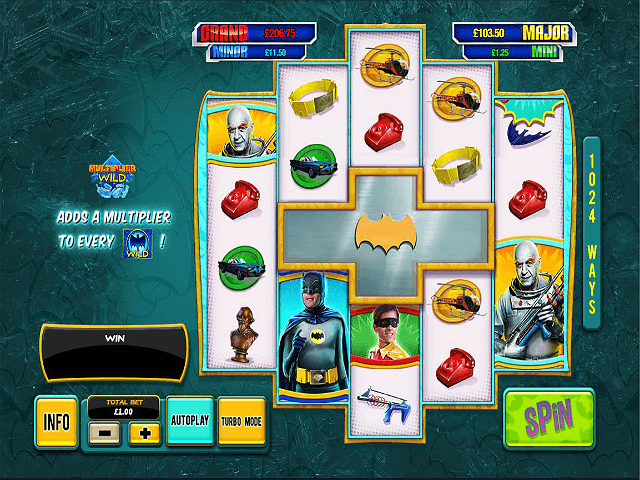 As well as being part of the retro Batman series Playtech has become famous for, Batman and Mr Freeze Fortune slots also differs from its peers – making the game unique in more ways than one. Does this mean the game is any less lucrative? Not at all. In fact, if you read our Batman and Mr Freeze Fortune guide, you'll quickly see that it's one of the most impressive titles in the entire series. Go through our review to get to grips with what the game has to offer: think progressive jackpots, unique reels, and more! Play Batman and Mr. Freeze Fortune for Real Money! First off, it's important to reiterate that this progressive jackpot slot is part of the Batman series. 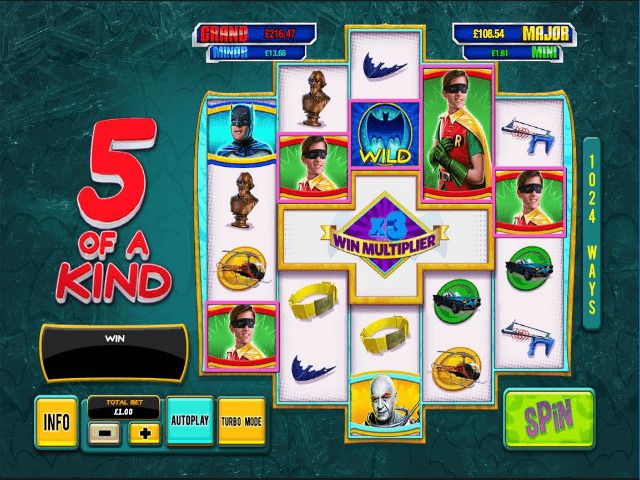 Based on the hit TV show starring Adam West as the Caped Crusader, Batman and Mr Freeze Fortune slots feature a ton of iconic characters. From the headline personalities to the original Batmobile and famous red Batphone, every aspect of this game's design will take you back to a time when Batman was the baddest superhero on TV. 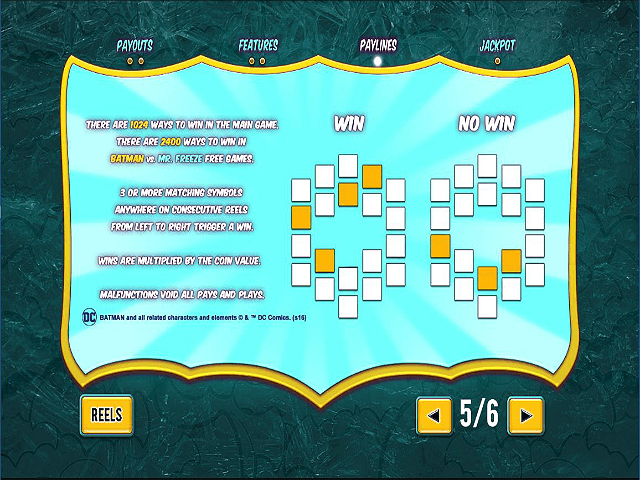 Of course, you can't have style without substance, which is why the developers at Playtech have endowed this game with a unique set of reels. The game features the five reels you'd expect from an online jackpot slot. Surprisingly, when it comes to the reels, you'll notice there’s a cross section missing from the middle. This unique feature takes the number of ways you can win from 1,024 to a whopping 2,400. During normal play, you'll be able to bet as little as £0.50 and access the standard 1,024 ways to win. However, if you manage to roll in three or more bonus symbols, the void in the middle of the reels – aka the Mr Freeze Bonus Vault – will open up and release a ton of special features. From multipliers worth up to 5X, free spins and wilds, to respins and more, this bonus vault essentially gives you 2,400 ways to win without depleting your bankroll! 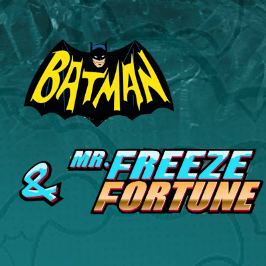 If opening the Mr Freeze Bonus Vault wasn't enough, you'll get the chance to win one of four progressive jackpots when you play Batman and Mr Freeze Fortune. Because each game is partnered with the DC Jackpot Network, you'll have the opportunity to enter a bonus round where the top prize can be worth in excess of £100,000 thanks to a massive jackpot pooled together by the other Batman-themed slots like Batman and the Batgirl Bonanza. The best part about this progressive jackpot slot game is that you can activate it at any time. Regardless of the stakes you're playing for, the jackpot game can strike when you least expect it. Once it does, you'll have to match a selection of symbols (mini, minor, major or grand) to win a progressive prize worth anywhere from £100 to £100,000+. In short, if you're looking for a progressive jackpot slot where style and substance are matched together in a single game, you’ll need to take a turn or two with Batman and Mr Freeze Fortune! Share this Batman and Mr. Freeze Fortune Review today! If you like Batman and Mr. Freeze Fortune, you'll love these slot titles too!